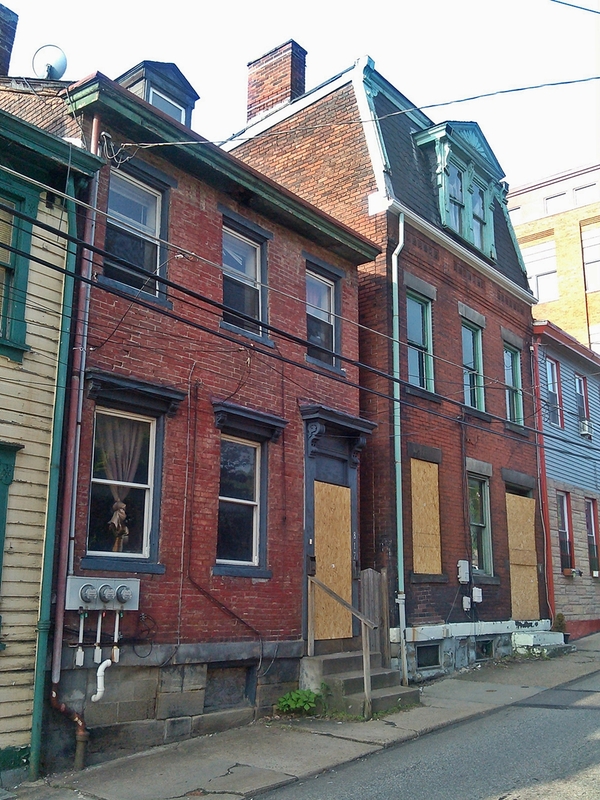 These two homes are on the North Side of Pittsburgh, in the eastern half of the Deutschtown neighborhood. 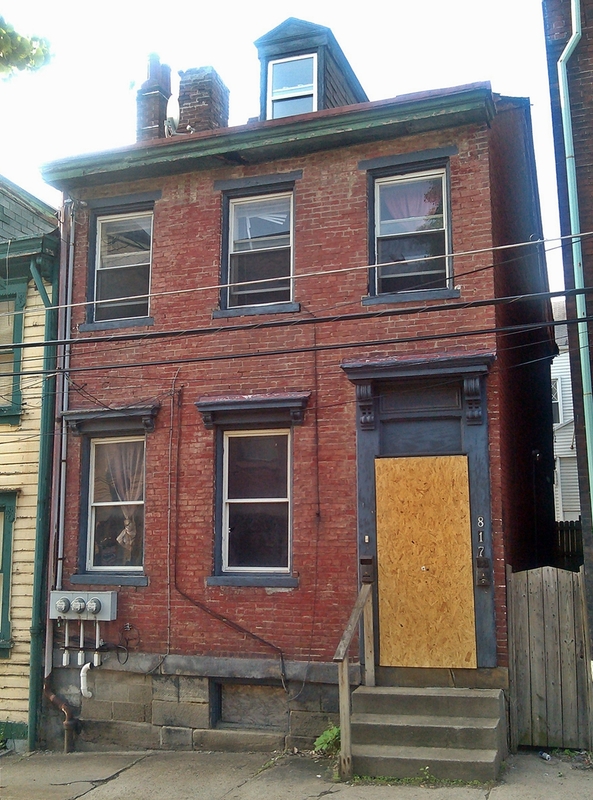 Abandonment and decay persist here at an alarming rate and endanger one of the oldest neighborhoods in the city. These homes are likely both pre-1890, and historic pieces of old Allegheny City. They are abandoned and tax delinquent. 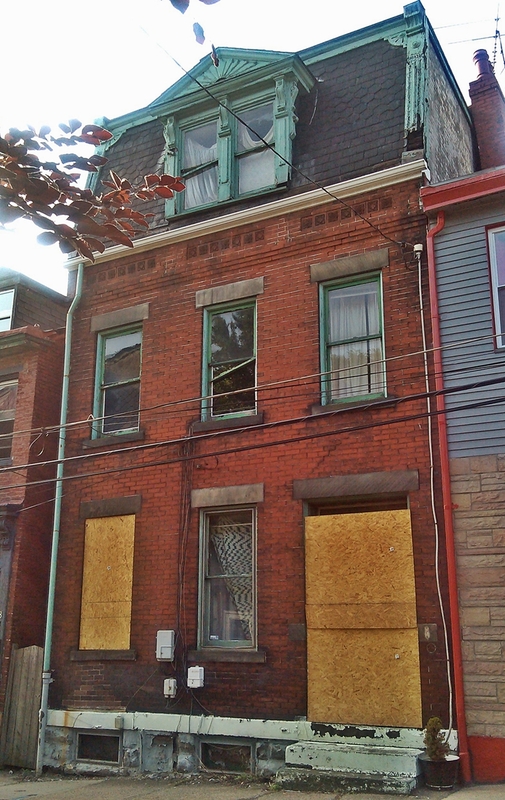 Like many other beautiful, neglected buildings in Pittsburgh, their future is uncertain. As you can see, they are boarded up.